Helly, D., Herrero, A., Knoll, A., Galeazzi, G., Sherriff, A. 2014. 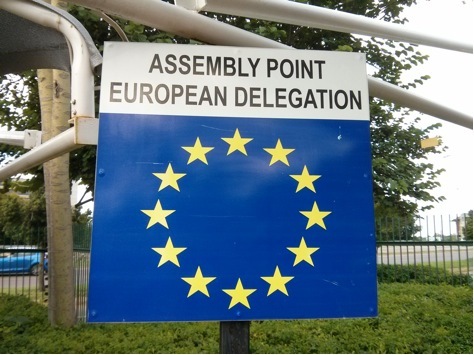 A closer look into EU's external action frontline: Framing the challenges ahead for EU Delegations (Briefing Note 62). Maastricht: ECDPM. The ‘new’ EU Delegations (EUDs) can be the best of both worlds – a long-term, ‘whole-of-EU’ approach to complement and work with the EU Member States’ diplomatic assets – or the worst – a disjointed technocratic approach increasingly influenced by short-term Member States’ political agendas. The image of the EU is made in-country, and at the elite level is largely influenced by the extent to which the EUD manages to earn credibility vis-à-vis the country authorities and civil society. There is pressure for the EUDs to show results: the 2014-2020 period will be a testing phase for a number of experiments in EU’s external action abroad. Yet, the ultimate success of the EUDs depends on leadership and the willingness of all actors to develop effective internal and external relationships.